You already know that Morrow, Lai & Edwards Pediatric Dentistry recommends you come in for a checkup and cleaning at least every six months, but do you know what your child’s dental needs are? From the time children are babies and growing in their first teeth, their oral health care needs may be different from adults. 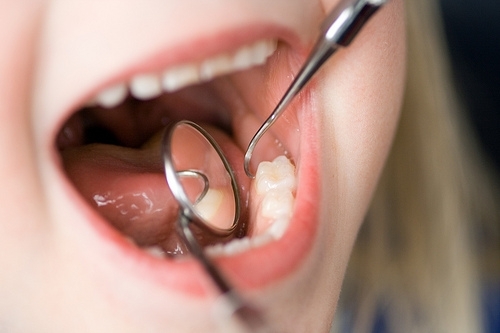 It’s important to know what they need, and when, to help them grow strong, healthy teeth. While dental care (at home) can begin as soon as your baby starts to show signs of that first tooth, most experts do not recommend you see a dentist until your child is at least one year old. The child will likely be too young at this point to have a full dental exam, but we can take a look at your baby’s teeth and give you tips for brushing and flossing properly. By the time your child has all of his or her baby teeth—usually around 24 to 30 months of age—we can begin scheduling regular checkups and cleanings. The first visit to our Tulsa, OK office for a full exam will mostly involve getting to know Drs. Mark Morrow, April Lai, and Kerry Edwards and staff members, and making your child feel comfortable. Let us know if you would like to sit in the exam room during the appointment, but keep in mind that it may be beneficial to leave your child alone with Drs. Mark Morrow, April Lai, and Kerry Edwards for a portion of the appointment so we can start building trust with your child. In most cases, we will recommend that you bring your child in every six months for regular checkups, the same as your recommended frequency. Understanding your child’s unique dental needs is important for providing the best possible care when it becomes necessary. We look forward to building a good relationship with your child so coming to the dentist is a fun, rewarding experience and not a frightening one.